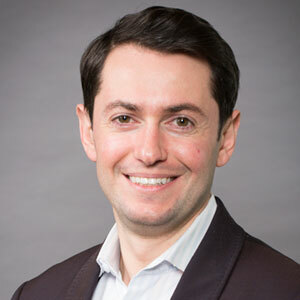 Dimitri Akhrin is president of CRMDialer, a multipurpose telemarketing platform for small and medium-sized businesses. In this exclusive interview with CRM Buyer reporter Vivian Wagner, Akhrin addresses the role of real-time responsiveness in achieving business success. CRM Buyer: What are some of the current trends you see in the CRM space? Dimitri Akhrin: AI is giving the ability to gain insight, and the most important example is visitor tracking. That&apos;s a big component -- knowing how in real time to react to something a prospect is doing on a site. It&apos;s going to allow prescriptive recommendations about what to do in a particular moment, instead of having to crunch data after the fact. The key is having a massive amount of data and being able to leverage the different data points. CRM Buyer: What&apos;s the key to making data useful? Akhrin: Look at the best person that you have in an organization and focus on enabling everybody else to be like that person. You have your best sales rep who has worked with you for five years -- someone who&apos;s encountered all kinds or rejections and pushback. For a new person coming in, scripts can be hard to navigate. But if I have internal raw data that my best sales rep has had, I can parse that data in real time through transcription services to analyze it to suggest the types of questions and answers to give. This enables each sales person to be like the best sales person, using real data from past experience. CRM Buyer: What is the best way to display these suggestions to sales reps? Should they be a script, or a bulleted list, or some other format? Akhrin: The suggested thing for display is what the CRM can handle. If the way the CRM system works is on the scripting side, it can pop up as a script, or it can be a bulleted list of possible items to say in response to an objection. CRM Buyer: What are the keys to improving sales using CRM? Akhrin: CRM is the equivalent of a supply chain or assembly line. The CRM system is a process that an entire company&apos;s business is built on from the beginning. In a successful company, all of the processes will go through a single system. As soon as an agent goes out of that system -- they automatically lose efficiency. If there are external tools that constantly have to be used, it keeps the employee from being as successful as possible. You need a single system in order to have a steady and moving pipeline. CRM Buyer: Why is it important to integrate a CRM system with sales and marketing? Akhrin: You need a single application or tool to let you know everything about a prospect or customer in real time, without having to be super tech-savvy or to access the information elsewhere. A good CRM system allows you to have a conversation based on what&apos;s relevant to each individual. At a coffee shop, for instance, you will have a better relationship with that brand if it remembers what coffee you prefer, and it doesn&apos;t recommend tea. CRM Buyer: What&apos;s the key to making sense of all the data -- and making it actionable? Akhrin: Artificial intelligence is being able to analyze the past to make decisions in the present. It really comes down to having quality data about what has happened before, so you can build the model. It&apos;s important to have the proper information and to set up the rule engine correctly. Having the raw data is the No. 1 thing, and you build your decisions on top of that. CRM Buyer: What&apos;s in the future for CRM? How is it evolving and changing? Akhrin: We&apos;re going to see CRM becoming more and more integrated into a single system -- phone, email, helpdesk and various applications. Right now, we&apos;re seeing a big drive to not just have it be optional, but required, that there&apos;s an open-facing public API, which allows other systems to connect and to push and pull data. With this open exchange, people won&apos;t have to switch screens and use multiple tabs to do their job on a daily basis. Once you have everything built on a single system, companies will be able to create smart rules about what the next action should be. The key is to have all those processes and interactions done in a single system.